Village Art in the Park is pleased to announce our 2018 scholarship winner Andrea Nicole Sorensen. 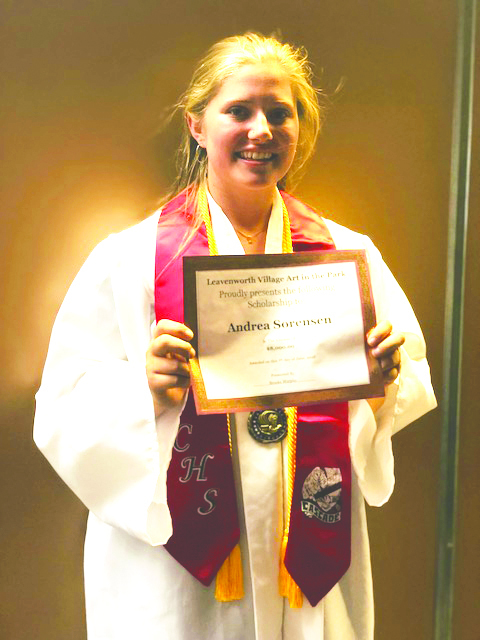 Andrea will receive the $8000 scholarship, payable in $2,000 increments, to pursue her education In music and teaching at Whitworth University in Spokane. Congratulations Andrea!